Dawson Carr discusses his new book "NC 12: Gateway to the Outer Banks"
In the ever constant tug of war between development and environmental concerns on North Carolina’s Outer Banks both sides could almost certainly agree that no matter the state of things now they’re certainly better than one vision for the area around 1950. Dawson Carr reading from the tail end of his book “NC12: Gateway to the Outer Banks,” a history of the road that brought the communities of the Outer Banks together. His reference to “radioactive, nuclear wasteland” isn’t hyperbole about what progress has wrought… it’s about the Outer Banks existing as an actual nuclear wasteland if government ideas for use of the barrier islands had come to fruition. Dawson Carr talking about Project Nutmeg which in 1948 rated the Outer Banks highly as a site for nuclear testing. Ultimately the U-S government opted elsewhere… the western United States, where they already owned the land that would become the Nevada Testing Site. But if not for Highway 12 which brought some ease of travel along the Outer Banks the region could have been a much less inviting place. And if you try to trace the genesis of Highway 12, Carr suggests a precise date … December 17, 1903… the birthdate of powered flight. Not that the Wrights flew on December 17, 1903 and pavement started being laid the following morning. Initial roads were “roads” only in the strictest sense… they started somewhere and ended another. Carr’s book “NC 12: Gateway to the Outer Banks” features a photo just inside the cover of a car traversing one of these “roads”… sand that had developed ruts from drivers that were augmented to ease travel, leaving what almost looks like a railway for automobiles. While the initial roads share little in what today’s roads look like, the promise of Highway 12 then was pretty much the same as now… a conduit to keep area economies chugging along. And this notion crystalized around 1925 as area leaders began to face a problem that remains true today… a decline in the fisheries industry. State government also had no interest when a few years later in 1930 a bridge from the Elizabeth City area to Kitty Hawk was constructed… a privately paid for toll bridge. But eventually the state got involved. Dawson Carr speculates a little embarrassment went a long way in that decision as first a local government and then local businesses successfully completed what the state had deemed an unnecessary expenditure to connect sparsely populated areas. In fits and starts soon the Outer Banks was connected, with Highway 12 stretching from Corolla in the North to Ocracoke Island at the South. And nature has intervened many times over the lifetime of the highway… New Inlet has opened and closed many times in recorded history and the fact there’s a road there now that wasn’t in the 1700s didn’t dissuade the inlet north of Rodanthe from reopening when Hurricane Irene struck in 2011. The road once ignored by the state now continuously gets rebuilt by the state when these types of events occur… something which irks those who, as Dawson Carr writes, believe that “the highway and its maintenance interfere with the natural processes that have nourished and restored the barrier-island chain throughout its existence.” That argument will probably continue, even with an agreement that has been reached to replace the Bonner Bridge in a manner to provide some protection to the Outer Banks’ Pea Island Refuge. Dawson Carr sees the side of the highway’s detractors, but ultimately believes it serves a valuable purpose. Dawson Carr taught for 27 years at Sandhills Community College in Moore County. 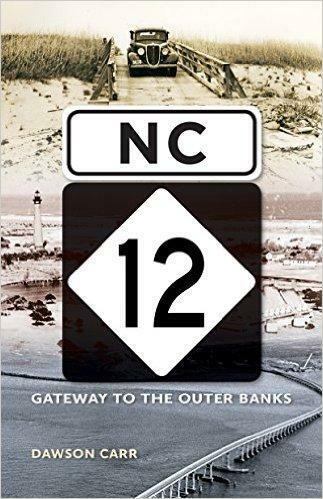 He is the author of NC 12: Gateway to the Outer Banks which is published by the University of North Carolina Press. I’m George Olsen. 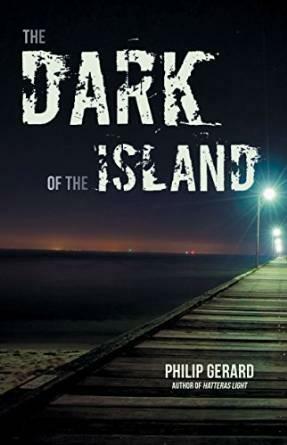 A new book by a UNC-Wilmington Creative Writing professor weaves a mystery inside past and present conflicts as viewed by the state’s Outer Banks. George Olsen has more. Call it the “spoonful of sugar” approach to writing… buy it for the mystery, love it for the history. INTRO – The goal of any author would be to get someone to read his-or-her book, and once they’re finished with that one, pick up another. For one Chapel Hill author, the goal of his latest book is for you to read it and then NOT pick up another, at least for a while. George Olsen has more. Bland Simpson is the Kenan Distinguished Professor of English and Creative Writing at UNC-Chapel Hill. 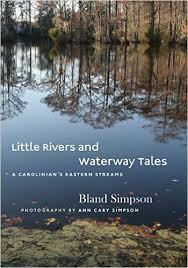 Spend much time reading his latest book and you could believe his real goal is to become North Carolina’s unofficial “tourism director” in charge of state waterways. INTRO – Eating out in North Carolina has changed in recent decades. The franchise restaurants and local family-style establishments have been with us for multiple decades and remain with us. But a newer style of dining has taken root in the state that emphasizes its ties WITH the state. 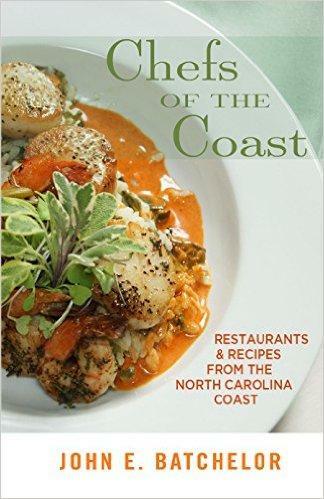 A new book by one of the state’s most prolific restaurant reviewers takes a look at that trend. George Olsen has more. 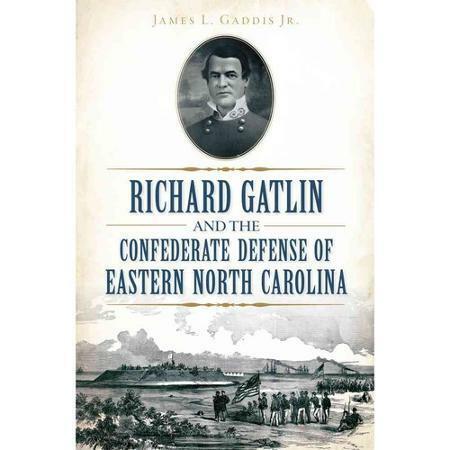 Richard Gatlin and the Confederate Defense of Eastern North Carolina - James L. Gaddis Jr. INTRO – Today’s most popular young adult novels … think “Divergent” or “the Hunger Games” … set their stories in a dystopian future. A Beaufort author however sets her attempt at young adult fiction in a near-utopian village in the not-too-distant past. George Olsen has more.